Hello. It's Freebie Friday today on the blog. 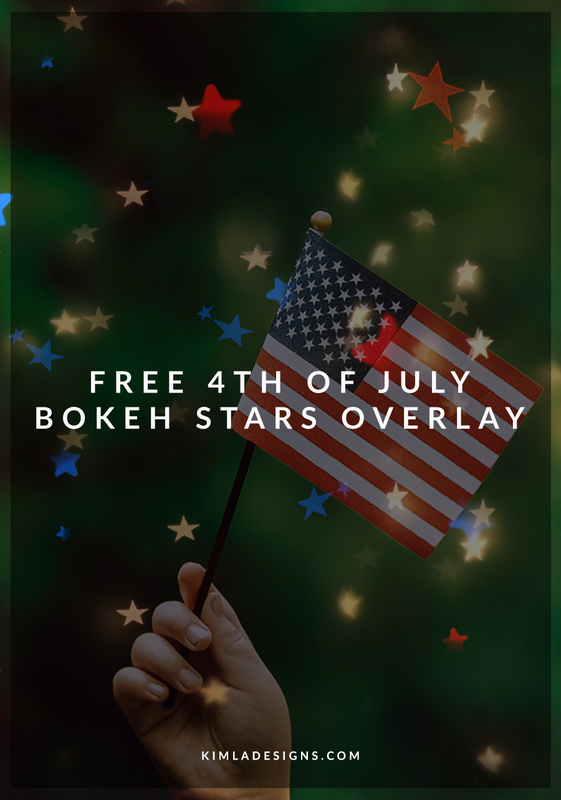 I know you love our weekly freebies, so I hope you will enjoy this Bokeh Stars overlay. It's very close to 4th of July, so there are blue, red and golden tones here. So in love with the new overlays! Summer Sunshine Overlays pack is full of warm, sunny tones. 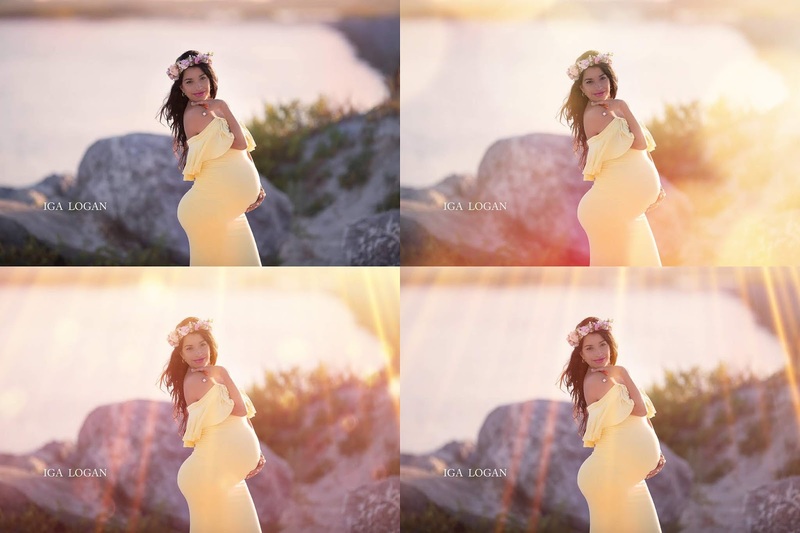 This is my favourite Summer edit at this moment and I was looking to create something that will work great with both golden hour look and summery greens. Summer Sunshine photoshop overlays are super easy to apply. 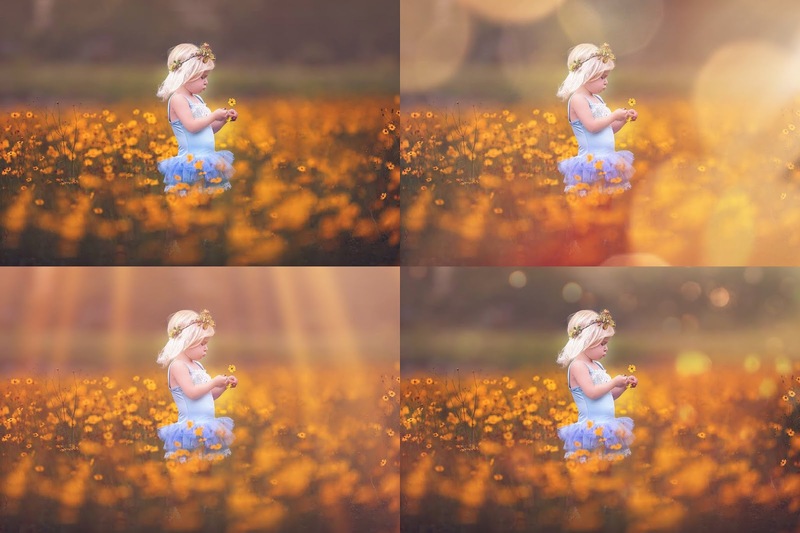 Each has been saved as a JPG's file on a black background, so after you place the overlay over your image, don't forget to change the mode of the overlay from Normal to Screen one. 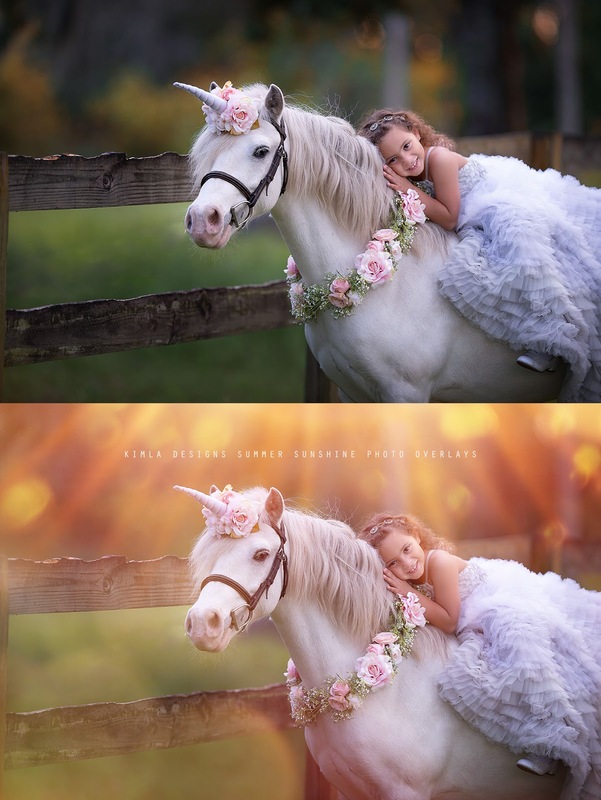 You can mix a match few overlays, lower the opacity to get the even more soft look. Few before and afters for you to see how many different looks you can get with these overlays. 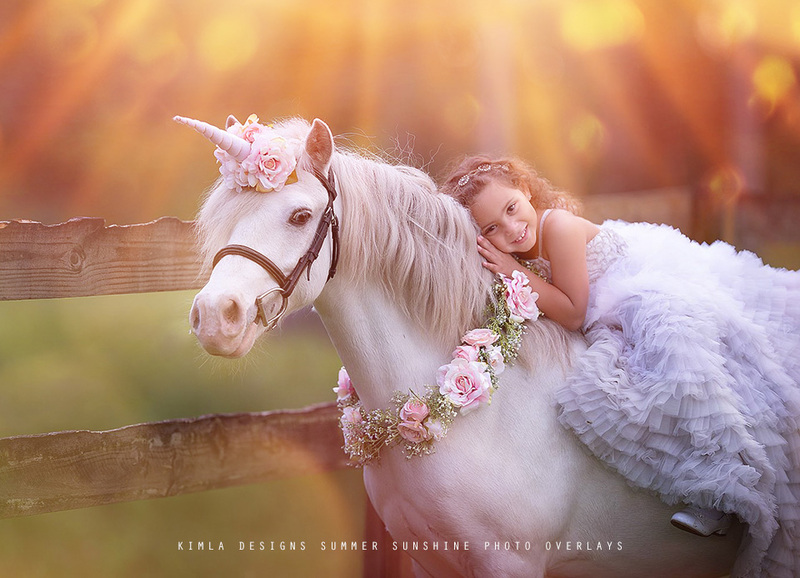 Thank you Iga Logan Photography for gorgeous Summer photos in previews. 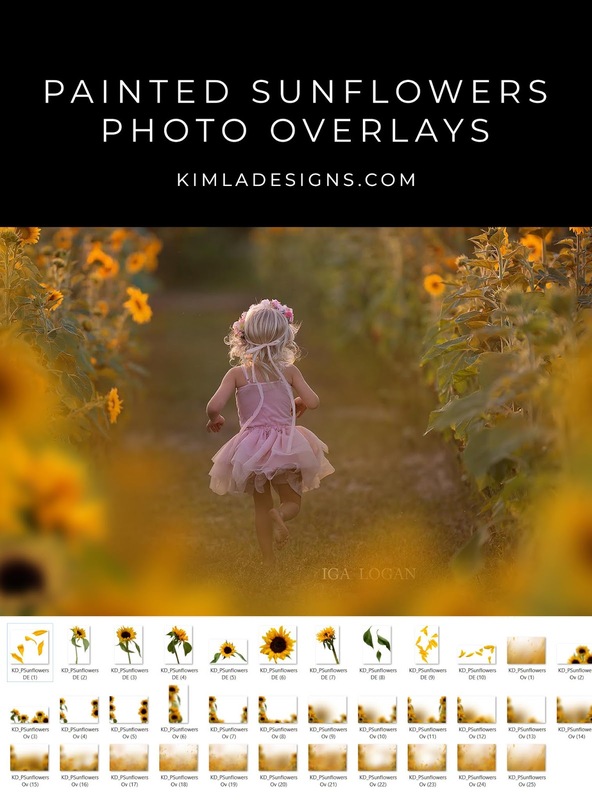 You might like to check our Summer Photo Overlays Collection here. 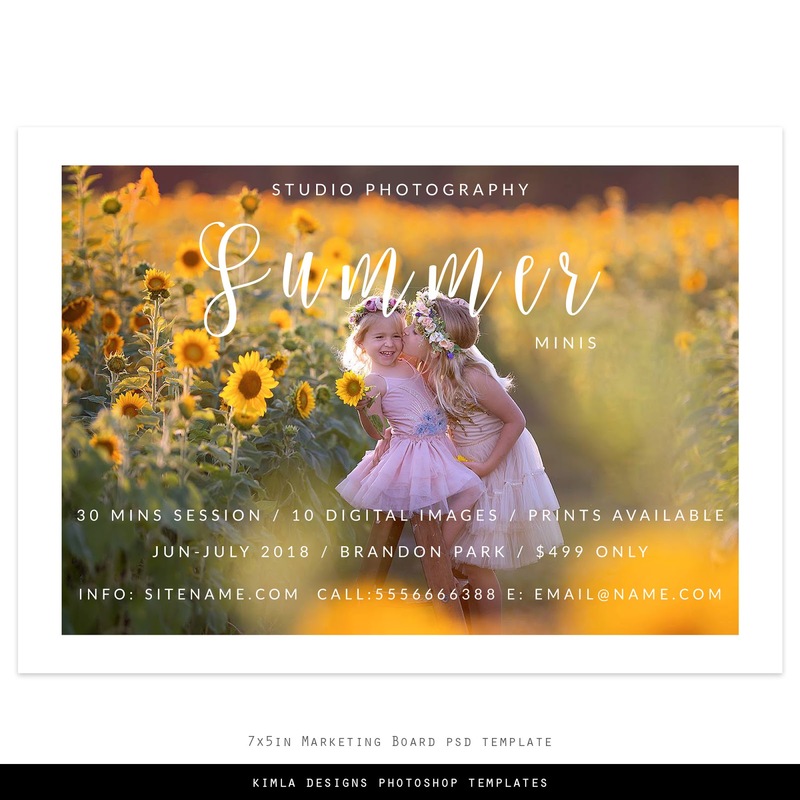 One more free PS Template for you to enjoy, this time Summer minis Marketing Board. This is a fully layered PSD file. You can easily change the colours of the elements, resize it etc. If you need help with templates, please check our Free Tutorials here. I found this beautiful cornflower field by accident. It was huge and beautifully blue so I couldn't resist. 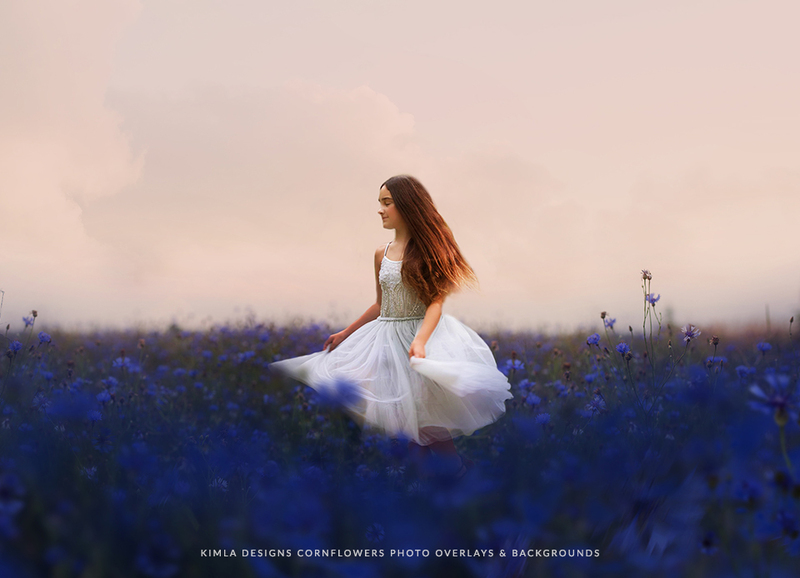 New Cornflowers Photo Overlays and matching Digital Backgrounds is here. Summertime means a busy time for any photographer. There are some beautiful new products in the shop to help you with editing.